Providing a full range of parking services, Mid-Con Management excels at managing in every conceivable type of parking application including: Office, Retail and Mixed-Use Projects, Hotel and Valet Services, Arena and Event Parking, Hospitals and Medical Centers, and Lot Enforcement. Mid-Con Management moved on August 31, 2018. 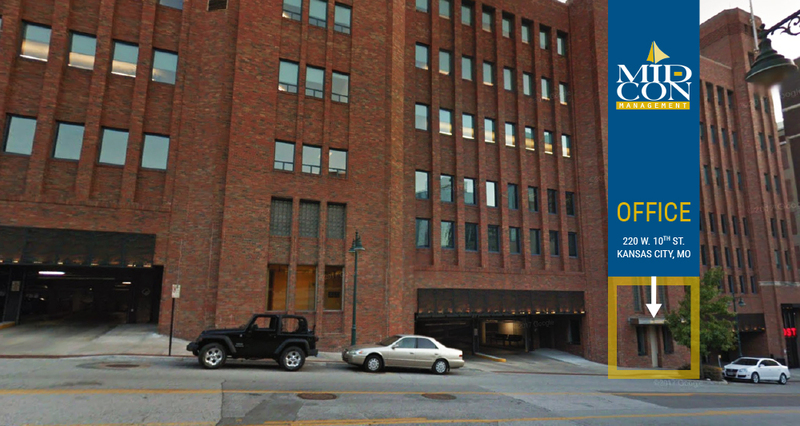 Our new office is at 220 W. 10th St. in Kansas City, Missouri.